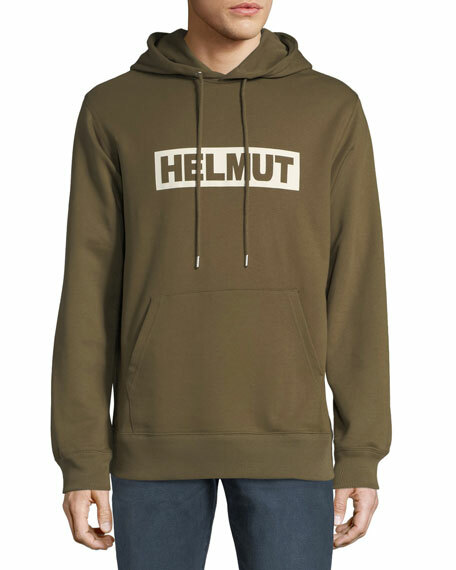 Helmut Lang hoodie with logo print. For in-store inquiries, use sku #2637426. 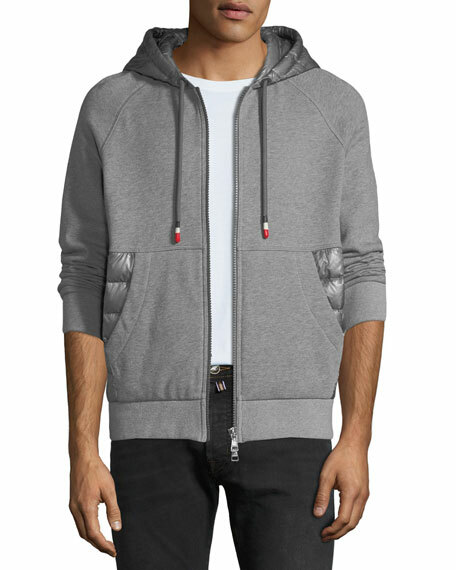 ATM Anthony Thomas Melillo pullover hoodie in French terry with racing stripe. 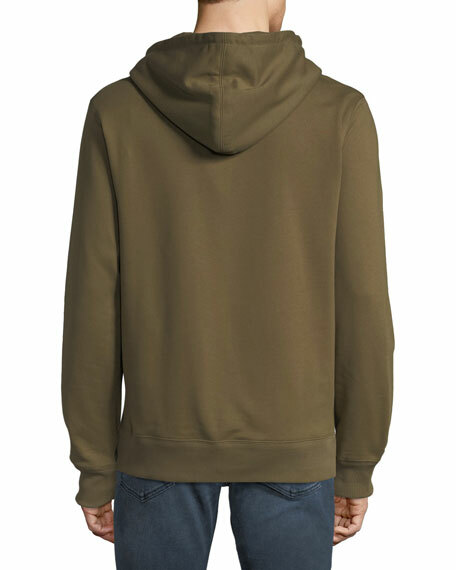 Drawstring, hooded neckline. Kangaroo pocket. Relaxed fit. Straight hem. Cotton/polyester. Made in Peru. 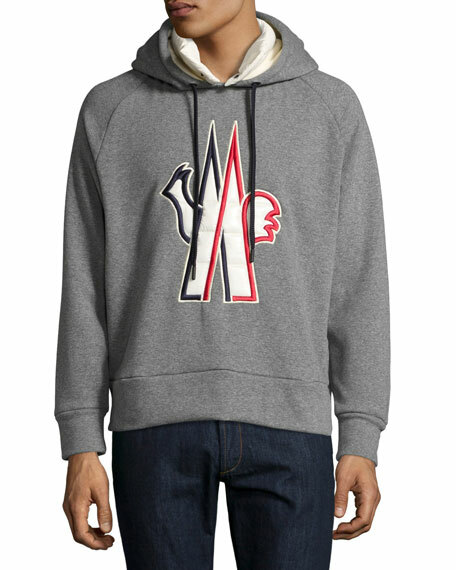 Moncler Grenoble hoodie featuring nylon logo appliqu tricolor embroidered edges at front. Fixed drawstring neckline at hood; snap-front neck warmer. Long raglan sleeves. Ribbed cuffs and hem. Pullover style. Relaxed fit. Polyester/cotton/spandex. Collar, nylon. Made in Italy. 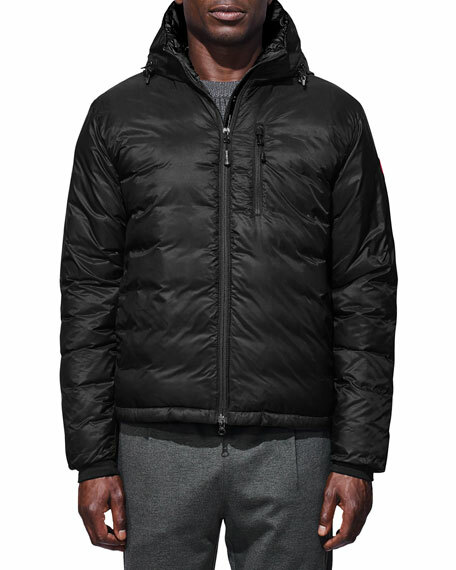 Moncler jacket with puffer-style details. Drawstring hood; two-way zip front. Kangaroo pockets. Felt logo patch. Classic fit. Cotton; combo, nylon. Made in Romania.